Institutions such as cathedrals and colleges are often overseen by Visitors. The recent decision of Horner J in In re CS  NIQB 36 (30 April 2015) has reaffirmed many basic principles relating to the jurisdiction of University Visitors. In Ireland, section 19 of the Universities Act, 1997 (also here) provides for Visitors for Irish universities. Hence, for example, in Trinity, the Visitors hear internal appeals against decisions of the Board and other bodies in College. If there is no such decision, the Visitors have no jurisdiction on this ground (Kelly v TCD  IESC 61 (14 December 2007)). And, if they have jurisdiction, the hearing is not a review but a full appeal where they will look afresh at the matters in dispute and form their own views (R v Visitors to the Inns of Court, ex p Calder & Persaud  QB 1,  2 All ER 876). The exclusive jurisdiction of Visitors, rather than the courts, to make such internal determinations has been established by an unvarying line of authority from Philips v Bury (1694) Shower PC 35, (1694) 1 ER 24,  EngR 11 (1 January 1694) (pdf) and Bracken v Visitors of the College of William & Mary 3 Call (7 Va) 573 (1790) [noted Bridge 20 Wm & Mary L Rev 415 (1979)], to Thomas v University of Bradford  AC 795 (HL) (.doc) and R v Visitor of the University of Hull, ex p Page  AC 682,  UKHL 12 (03 December 1992). They are not bound to adopt any particular form of procedure, and their decisions are final (R (Varma) v HRH Duke Of Kent  EWHC 1705 (Admin) (16 July 2004)). In 2004, Part 2 of the Higher Education Act 2004 transferred the jurisdiction of Visitors over the grievances of students in England and Wales to the Office of the Independent Adjudicator (OIA). However, this does not apply in Northern Ireland, and a case involving the Visitor to Queens University Belfast (QUB) has recently had occasion to determine the nature of the Visitors’ jurisdiction. In the UK, section 104 of the Sexual Offences Act 2003 permits a court to make a Sexual Offences Prevention Order (SOPO) for the purpose of protecting the public or any particular members of the public from serious sexual harm from the defendant in respect of whom the SOPO is made. In In re CS  NIQB 36 (30 April 2015), the applicant had been convicted of five counts relating to indecent images of children and was made subject to a 5-year SOPO. QUB therefore withdrew him from the university for the duration of the SOPO, after which period he could apply to QUB for re-admission. He sought judicial review of the university’s decision, on the grounds that the passing of the Human Rights Act 1998 effected a sea change in the power of the courts to review decisions of the Visitors. A similar argument as to the effect of the Convention on university decisions, in the context of an academic rather than a disciplinary decision, had failed in In re Croskery  NIQB 129 (noted here)), and it was unsurprising that the claim in CS also failed. It did so for two reasons. First, the challenge was premature, as all of the internal remedies had not been exhausted (compare Kelly v TCD (above)). Second, Horner J reaffirmed the exclusive jurisdiction of Visitors in such circumstances, subject to four exceptions, by which judicial review could be available when Visitors exceed jurisdiction, abuse powers, breach the principles of natural justice, or fail to protect the rights a party enjoys under the European Convention of Human Rights. And none of these exceptions – in particular, breach of the ECHR – was made out. Up until the coming into effect of the Human Rights Act 1998 the visitorial jurisdiction was considered to be exclusive and final save for where the courts would hear applications for judicial review where there had been a failure to observe the rules of natural justice by the Board or where the Board had acted in excess of its jurisdiction. In R (Ferguson) v Visitor of the University of Leicester  ELR 562 [.doc] in giving the judgment of the Court of Appeal in England, Kay LJ held that judicial review did not lie to impeach the decisions of a Visitor taken within his jurisdiction (in the narrower sense) or on questions of fact or on law. The only matters that could be challenged by way of judicial review are that the Visitor had exceeded his jurisdiction, or that he has abused his power or that he had acted in breach of the rules of natural justice (ex p Page [above]). To that statement of the law must be added the right of the High Court to grant a judicial review when there is evidence that the applicant’s Convention rights have been infringed. In spite of its importance, this right is not, however, absolute, but may be subject to limitations; these are permitted by implication since the right of access by its very nature calls for regulation by the State. … the contracting states enjoy a certain margin of appreciation in this sphere … a limitation will only be compatible with Article 1 Protocol 1 if there is a reasonable relationship of proportionality between the means employed and the aims sought to be achieved. Consequently the Board of Visitors and any subsequent reviewing court will have to consider whether any “suspension” imposed upon the applicant is proportionate in all the circumstances. While the applicant’s continuing third level education at QUB is undoubtedly important to him, he is an intelligent young man and the issues to be decided are not complex. The applicant should have no difficulty in accessing the Board of Visitors. 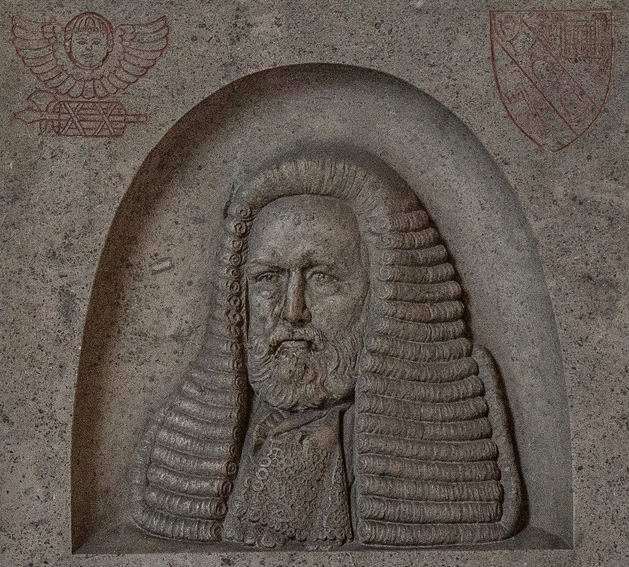 Indeed, given the make-up of the Board of Visitors, it is highly likely that if the applicant is unrepresented, then the proceedings will be organised so as to ensure that the applicant is able to put his case, and challenge the case put on behalf of the University in an effective manner. … No credible case has been made that the applicant in this case, without legal assistance before the Board of Visitors, will be deprived of effective access. The … Board of Visitors … will be able to fulfil its paramount and overarching function of ensuring both sides receive effective access to justice and that ultimately a fair and just decision will be reached. … Further this court considers that the resounding endorsement of visitorial jurisdiction by distinguished judges and legal commentators still holds good today. Therefore Sir Robert Megarry’s exhortation [in Patel] to invoke the visitorial jurisdiction, and not to go to the courts, remains good advice. Indeed the judicial tide is flowing even more strongly today in favour of the courts enforcing the exclusive jurisdiction of tribunals, especially ones that can offer, as here, cheap, informal, effective and expeditious justice. In this case the applicant enjoys the right of access to an independent and impartial tribunal whose worth has been proved over hundreds of years and who the court can have confidence will act as a public authority in a Convention compliant manner.